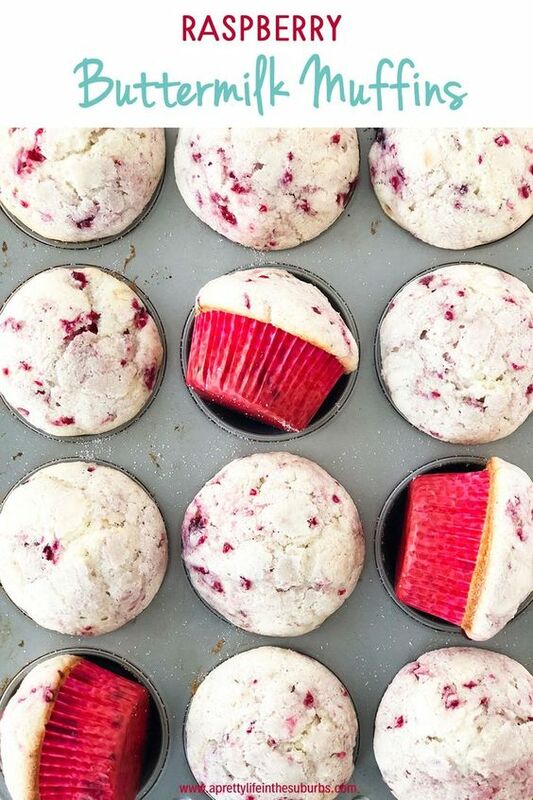 These Raspberry Buttermilk Muffins are so delicious! A sweet and soft vanilla muffin base loaded with tasty tart raspberries. Make sure the baking rack you are going to use is in the centre of the oven. Using a mixer cream together the butter and sugar. Add in the eggs one at a time, then add the vanilla. Mix well. Add the flour mix to the butter mix, alternating with the buttermilk. Gently stir in the raspberries so the batter doesn’t become pink. Tip! I prefer to use frozen raspberries because they don’t colour the batter as easily. Bake for 20 minutes, until a toothpick inserted into the centre of the muffin comes clean. Tip! I prefer to use frozen raspberries because they don’t colour the batter as easily.